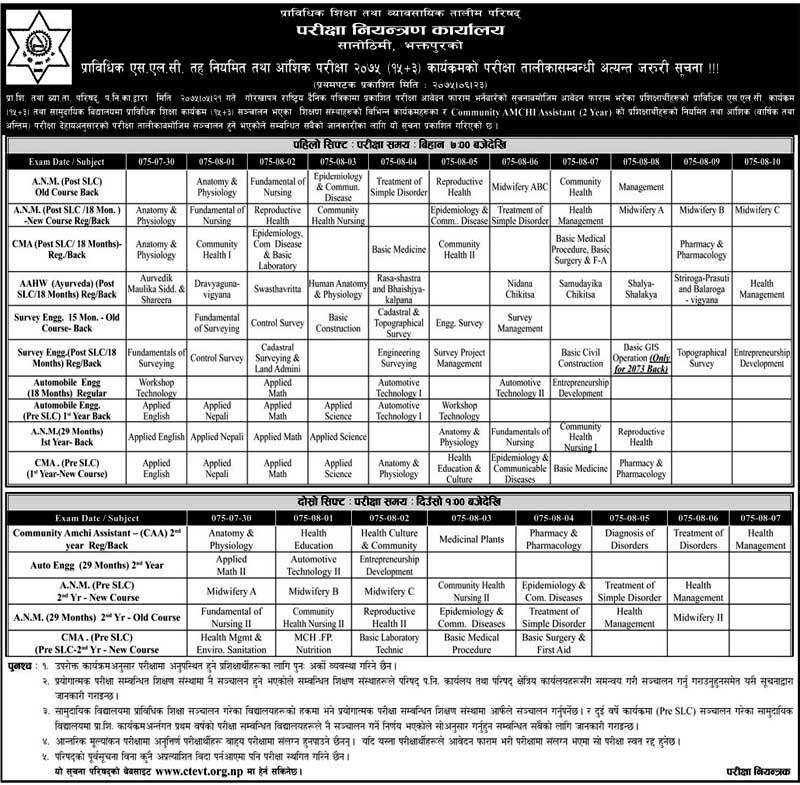 Council for Technical Education and Vocational Training (CTEVT) has published the examination schedule for TSLC level; regular and partial 2075, TECS programs and Community AMCHI Assistant( 2 Year) regular and partial (annual and final). The examination starts from from Kartik 30, 2075 ( November 16, 2018) onwards. The examination will be held in two shift. In the Morning shift the examination will start from 7 am and the examination of the programs of day shift will be held form 1 pm on wards.